Three cops from a tough Brooklyn stationhouse find their troubled paths all lead to one even-more-screwed up destination. Depressed and boozy Eddie (Richard Gere) is days away from retirement, and could care less about coaching green recruits. Family man Sal (Ethan Hawke) is spiraling into debt, and nervously eyeing all the dirty money that crosses his path. Meanwhile, Tango (Don Cheadle), deep undercover as a drug player, struggles to resurface as a cop, even as a big fish (Wesley Snipes) returns to the street. Brooklyn is directed by former Pittsburgher Antoine Fuqua (Training Day). It's a solid cops-in-personal-crisis drama, even if it gets a bit baroque in the final reel. The storylines are familiar, but the leads do good work, excusing Hawke's occasional manic tics and Gere's sheen of glib handsomeness. 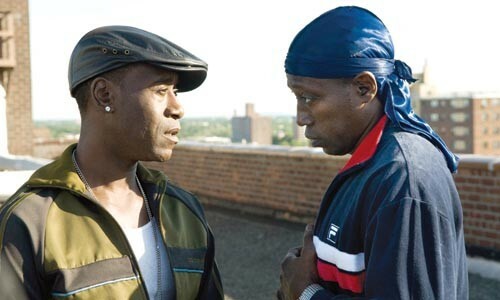 Cheadle is always a pleasure to watch burrow into a conflicted role; and Snipes' newly heavy, logy and quietly cagey demeanor suits his character's transition from prison to the ever-more-feral streets. But it's not all men: Ellen Barkin, as a balls-out police brass, more than earns her paycheck in two short scenes. Starts Fri., March 5.